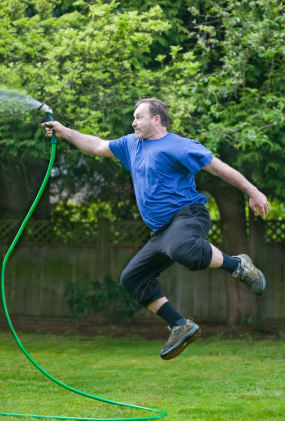 Don’t get carried away trying to keep your lawn watered! Hire Grass Master today to install a professional underground sprinkler system, so you can relax and enjoy how great your lawn looks! Grass Master Lawn Care & Grounds Control LLC. beautifies lawns in Hudson and River Falls Wi with a variety of methods, from fertilization to aeration to dethatching and over-seeding; all of which will bring and maintain your lawn to its utmost fullest potential. All of these applications, however, are for naught if your lawn does not get the proper amount of vital watering necessary to flourish into that lush, thick green lawn that we all so desire! The amount of watering your lawn requires is dependent on several variables including grass type, soil type, and absorption and sun exposure. In the heat of the summer, to keep a lawn looking its best will likely require watering several times a day. Who has time for that!?! Grass Master Lawn Care serves Hudson and River Falls with top quality lawn irrigation installation and maintenance services so that you can manage your busy life without having to worry about the daily managing of your lawn! We use only top-of-the-line Hunter and Rain Bird systems so you can be assured of the efficiency of both water displacement and energy usage! 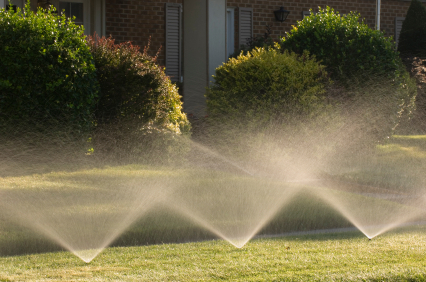 Proper heads and even watering are essential when ensuring you will get the most out of your lawn irrigation system. Call Grass Master today for a free no-pressure consultation and estimate! We install the proper heads to insure that your lawn is watered evenly. We will use the proper installation equipment, with a conscientious effort to minimize yard damage during installation. When installation is complete, we will program your system and run a full diagnostic to ensure precise operating specifications are met to meet the demands of your individual lawn. 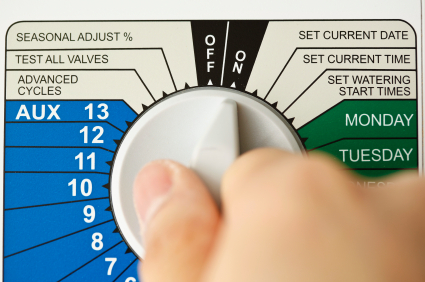 We will then provide you with tutorial of the programming and operations of your system along with a diagram of the layout of your underground sprinkler system for future reference. Programmable watering systems save time and money. Maximizing the watering and energy efficiency of your lawn sprinkler system is not only a good investment for the green of your lawn, but also for the green in your pocket! When it’s all said and done, you will be extremely pleased with the investment you have made with your new watering system; and equally pleased with having chosen Grass Master to install it! Not only does Grass Master offer irrigation system installations in Hudson and River Falls, but we also offer irrigation maintenance services as well. Call Grass Master today for your irrigation maintenance service needs including: programming, head replacement and adjustment, spring start-up, fall blow-out, additional zoning and any other questions or concerns you may have about your irrigation system! Grass Master Lawn Care & Grounds Control LLC. is dedicated to outstanding customer satisfaction! We achieve this by delivering an outstanding product through utilizing leading industry practices with top quality products and materials. Don’t settle for less than you deserve! Grass Master; The MASTER, on ALL Grounds! !